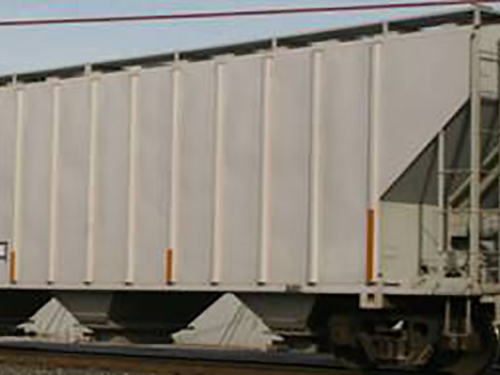 AAR Class: LO: A permanently enclosed car, other than a box car, regardless of exterior or interior shape, for handling bulk commodities, with or without insulation and provided with openings for loading through top or sides with weather-tight covers or doors. Car may be provided with one or more bottom openings for unloading, with tight fitting covers, doors, valves, or tight fitting slide or gate to prevent leakage of lading. Car may be provided with facilities for discharge of lading through openings in top or sides and may have one or more compartments. Mechanical or other means may be provided within car to expedite loading or unloading.